Chris published his first poem under the 'Gardening' column of the Scarborough Mercury in 1975. 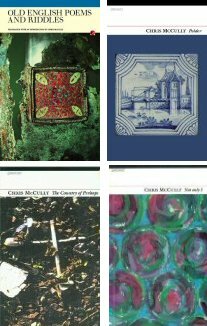 In 1982 he began an association with Carcanet Press that has lasted until today. 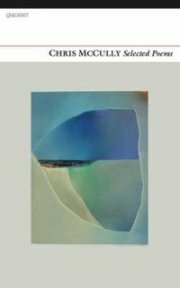 ­Carcanet have brought out seven collections of Chris's poems and translations, the most recent being Serengeti Songs (2016, please see below) and Chris's translation of Beowulf (2018) - complete with an extended 'Afterword'. At present, Chris is revising a collection of prose poems, working title The English Funerals; these explore some aspects of English history in a highly compressed, ten-line form which alludes to some features of epic. Chris has also begun to work on a new collection of verse, working title A Few Late Wasps, which may in turn form the opening to a more extensive volume of Collected Poems. To write in the first person for a moment: I find (as many others have found) that as I get older, although the voice and aspects of formal control are no less assured, and may even be more so, the finish of the thing becomes more difficult and may even be permanently elusive. Selected Poems is available from Carcanet Press. Old English Poems and Riddles was published by F­yfield Books, a Carcanet imprint, in 2008. Strangely, this little volume has generated more controversy, and has sold better, than much of my other ­work in v­erse. Included in the text are some of the great elegies as well as epics and riddles, and I also translated some sections from Beowulf. These last have been (as they needed to be) thoroughly revised for the translation of the whole poem (2018). I used to think that translating all of Beowulf would be too hard a task for me but somehow, eventually, the work was completed. In the end I think I must feel rather like Alexander Pope who, having translated the Iliad, confessed that 'I can make nothing of Homer'. Old English Poems and Riddles is available from Carcanet Press. ­Polder­ was published in 2009. The work is in four par­ts: (i) a longish prose-poem, 'Dust'; (ii) some shorter lyrics; (iii) 'Masterpieces' (poems in dialogue with some of the paintings hanging in the Rijksmuseum, Amsterdam); and (iv) the 'Torquatus' poems. These last are again in dialogue with an eminent Roman lawyer, a friend of the great poet Horace and someone who is mentioned in the 7th poem of the 4th book of Odes. And why did I address these poems to Torquatus? Out of a sense of exile and dislocation I simply borrowed an imaginary friend. Polder­ is available from Carcanet Press. The Country of Perhaps was published in 20­03. It includes a number of short lyric poems, including award-winning pieces ('Fishermen on Santa Monica Pier'), along with the full text of 'Mass', a piece that took me seven years to complete. 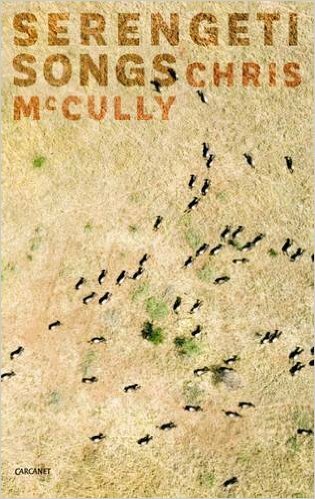 ­The Country of Perhaps is available from Carcanet Press. 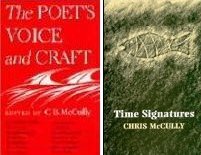 The Poet's Voice and Craft can be purchased from Carcanet Press. Time Signatures can be purchased from Carcanet Press. Serengeti Songs (2016) was - is - something of an oddity. I had never intended to write about the Serengeti or indeed other African game parks but of course when we were travelling I kept a notebook. When we returned, phrases or images from the notes kept nudging me and I found myself drafting poems whose theme, really, was evolution and the making of that part of the African landscape. In 2016 I wrote a short account of the making of the text ('Red-billed Oxpecker') and that was published on the Carcanet website. That piece is readable via the link.